Andrea’s relationship with Alain Pinel Realtors and Luxury Portfolio International™ expands her offering through powerful local and global resources. Her success is in part due to her ability to coordinate the details of today’s sophisticated transactions and direct her team in all areas – from financing, preparing properties for sale, and positioning in the up-to-the-minute world of real estate, to new advertising strategies and the latest online marketing tools, Andrea is on top of it all. The art of negotiating and a dedication to customer service are at the forefront of Andrea’s real estate practice. Prior to becoming a Realtor, Andrea spent 12 years running her own company. This honed Andrea’s skills in negotiating in complex situations, attention to detail and managing multiple projects. An economist by training, Andrea has keen insights into the local real estate market. These aspects of Andrea’s business practice allows her to offer her clients invaluable access to information and knowledge upon which they make sound decisions. She is adept at negotiating one of the largest assets most people will ever buy or sell. Having Andrea on your side of the table will serve you well. Real estate is not a part-time job or hobby to Andrea. She knows it takes 100% focus in an industry where knowledge equals power and the most prepared win. Andrea understands the importance of being available to clients, clear communication, and a command of her subject matter. It is this invaluable knowledge that allows her clients to make sound decisions. She is known by colleagues as a hardworking, top notch professional. Andrea carved her niche in the luxury property market and knows the key to marketing luxury homes is leveraging relationships and maintaining a spotless reputation. Her Sellers benefit from Andrea’s management of every detail and expert preparation of properties, resulting in the highest possible price for her listings. Andrea has been an annual recipient of the Five Star Professional Award. This award recognizes the top 1% of agents in Alamo, Danville, Diablo and Walnut Creek for top performance in a matrix of sales volume and raving customer reviews. A fundamental part of Andrea’s life is giving back to the community. She has been an avid sponsor of Rancho Romero Elementary, giving over $30,000 to date. She has also been a supporter of the Animal Rescue Foundation, Contra Costa Food Bank, The Wheelchair Foundation, the Women’s Cancer Resource Center, Contra Costa Interfaith Housing, and many environmental causes. 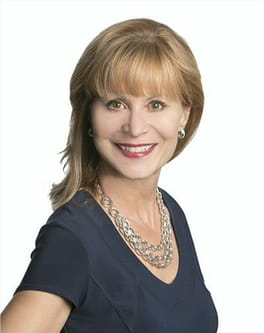 Andrea has called New York, Washington, DC, Connecticut, and California home, although her favorite place to come home to is the San Francisco Bay Area and in particular Alamo, where she has been a homeowner for over 10 years. Andrea’s passion for real estate, coupled with her education as an economist and experience running a company, make her an exceptional professional. Put your real estate needs in the very capable hands of Andrea. You’ll soon realize you made the right choice. Thinking of selling your home? Relocating? Trading up? Downsizing? Whatever your situation, selling your home is an important – and sometimes stressful - decision. You need the guidance of a top professional with the tools, the talent, the team, and the technology to sell your home for top dollar in today’s market. You need Andrea Scott. Put your real estate needs in the very capable hands of Andrea. You’ll soon realize you made the right choice.